Janez Vrhovec was born in 1921 in Belgrade and died in 1997 in the same city. 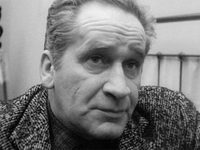 He appeared in many Yugoslav films, as well as international productions. On 1988, he received the Slavica Life Achievement Award for his roles in Yugoslav cinematography.